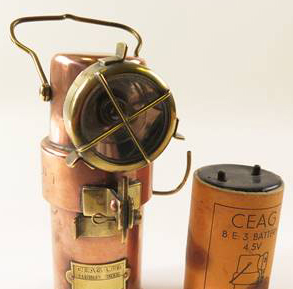 CEAG Ltd has a long history and enviable reputation for manufacturing high quality lighting products spanning a century and more. The original CEAG building was an iconic landmark in Barnsley and some of the miner’s lamp statues that were a feature of the building reside in the Barnsley Mining Museum. The origins of the company are steeped in Mining but quickly the product ranges diversified into other industry sectors such as military, marine, railways and aerospace. The biggest sector from the 1940’s onward was automotive and “Lumax” became a trusted global brand that would dominate this sector for many years. During this purple patch in its history CEAG employed over 600 local people. Some further attempts to diversify in the 1970’s and 1980’s however did not perform as expected and this along with changes in the automotive industry and overseas manufacturing saw CEAG’s dominance fade. The business moved to brand new premises in 2011 at Zenith Industrial Park. The business still retained many of its traditional clients including many overseas customers and it currently exports products to over twenty countries across the world, including New Zealand, Australia, Israel, Portugal, Italy, Denmark, Sweden and France. Some more unusual clients include: Simplon Orient Express, London Bus and Tram Museum, Kiwi Rail and Vintage Car Collections that include past Le Mans winners and other important exhibits. The origins of the company are steeped in Mining but quickly the product ranges diversified into other industry sectors such as military, marine, railways and aerospace.